If you were like any child growing up, you probably had a plethora of colouring books in your arsenal, ranging from Disney Princesses to Tonka Trucks. Was that just me? Okay, fine. But recently, colouring books for adults have been blowing up my Instagram feed and I finally gave into the trend. I picked up the Enchanted Forest book at Target a week or two ago, figuring I’d start with something simple to start. But they literally had everything in this section. Momentarily, I thought I was in the kid’s section! Anyway. Supposedly, the creator made these books for adults suffering from an insane level of stress and battling anxiety as well. 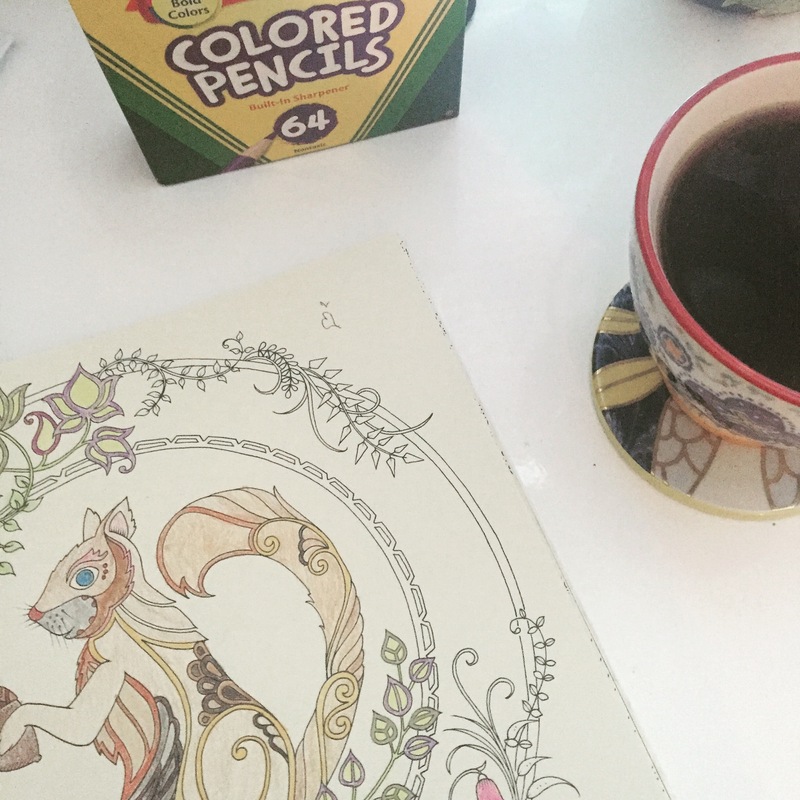 She figured that if you took a moment to be creative and the seemingly repetitive motion of colouring & going back to a childhood activity would be relaxing and decrease your unhealthy levels. And I’m sure it comes as a surprise to nobody that these books work. They’re fun! Plus, the books, at least the one I picked up, have several intricate designs to choose from and it’s fun to pick up where you left off when your brain seems to be going a million miles an hour and your body just….isn’t keeping up. So go pick up one of these colouring books. If the Enchanted Forest isn’t of interest, there’s so many to choose from. There’s a secret garden, Harry Potter, and so many other themes. Browse here on Amazon or try your local book store! #shoplocal. Tagged adult colouring books, anxiety relief, colouring, love, stress relief, who doesn't love colouring?